It’s fair to say most licensed tie-in games these days – with the exception of TT Games’ LEGO output -– tend to fall somewhere between ‘awful’ and ‘meh’. Usually developed and shipped out in double-quick time to save money and hit a theatrical release deadline, these sorry bits of software are more often than not destined for bargain bins the world over. 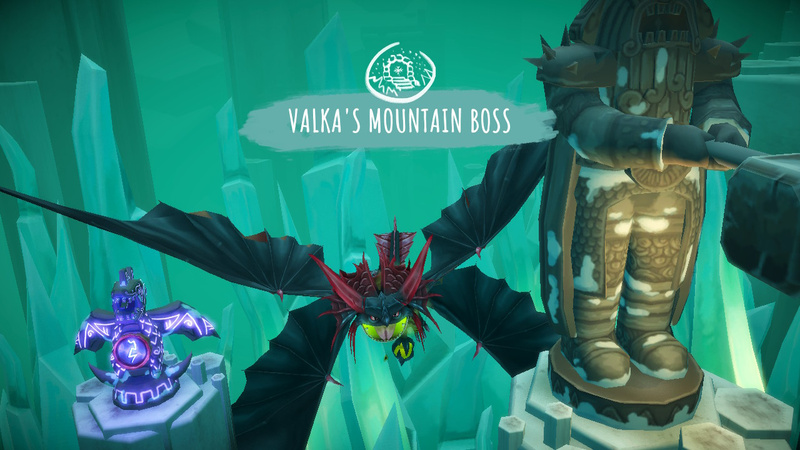 So, with the third How To Train Your Dragon film preparing to swoop onto the big screen, we’ve predictably found ourselves entertaining another gaming cash-in. Or have we? Because while Dragons: Dawn of New Riders does nothing particularly new or outlandish – in fact, it doesn’t really have any unique mechanic or element to claim as its own – it still manages to prove itself worthy of a spot on Nintendo Switch. By taking the simple premise of a top-down dungeon crawler and dialling back its systems and difficulty, you’re left with a fun and enjoyable adventure that’s ideal for young gamers who want to get into the genre, but a) don’t want to over-encumbered with menus and subsystems, and b) are a little too young the more adult, hellish landscapes of Diablo III: Eternal Collection. Instead of repurposing the plot of the third film into an interactive experience, British developer Climax Studios (an outfit that has Silent Hill games and plenty of VR titles to its resume) has set Dragons somewhere in-between the second and third films. Instead of playing as main heroes Hiccup and Toothless, you play as Scribbles, a young man struck with a cliched bout of amnesia and a dragon hybrid called Patches. Together, the two set out to foil a plot to enslave dragons and solve the mystery of your new winged friend’s hyperactive ageing. There’s a simple plot to sink your teeth into, but it’s never shoved down your throat. 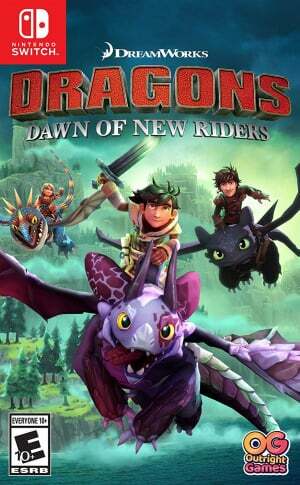 Instead, Dragons: Dawn of New Riders simply lets you get on with the action for the most part. It’s a welcome decision as young players are unlikely to want to sit through reams of text and unvoiced cutscenes; some scrolls that reveal more about the story are entirely optional and can be completely bypassed without losing much narrative clarity. It’s a focus on simplicity that carries through into every part of Dragons: Dawn of New Riders' six-hour journey. You can flit between Scribbles and Patches at any time by pressing ‘L’, and each has their own set of abilities. Scribbles is your basic melee character, gradually unlocking a sword, shield axe and hammer for use in battle. With one button for blocking, another for dodging and a final one for attacks, it’s a control scheme that really couldn’t be simpler. Ranged attacks come courtesy of Patches, who hurls balls of energy at his foes. As the game progresses and your dragon pal grows older, you’ll gain access to ice, fire and electric powers as well. Much like Scribbles’ hammer – which can be used to knock square blocks onto switches – Patches’ elemental attacks also serve a practical and puzzle-based purpose. By flicking between them with ‘ZR’, you can use ice to freeze lakes and reach new locations, utilise fire to warm up icy floors to stop blocks sliding too far and unleash bursts of electricity to power switches from afar. Those puzzles start off easy enough, but they gradually increase in complexity as you visit new islands. They’re never too difficult, so young players won’t be scratching their heads for long, but they’re tough enough to at least require a little head scratching. There are no XP bars to fill or skill tree menus to unlock. 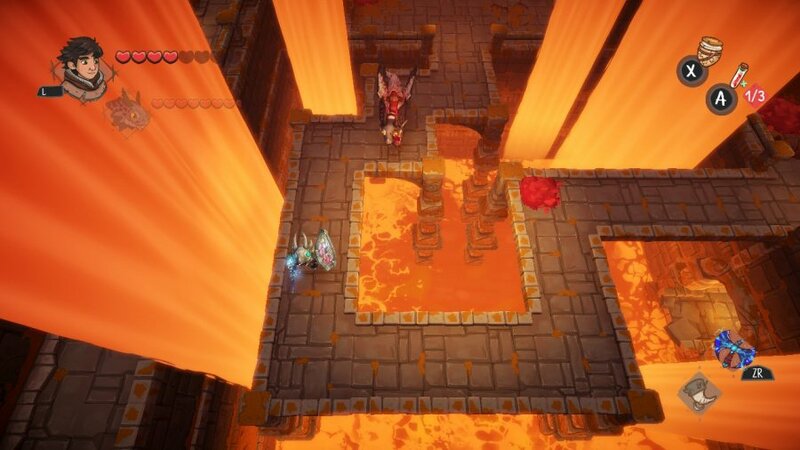 Instead, Climax Studios wisely boils everything down to a need to collect resources while exploring dungeons. Gathered from smashing boxes and opening chests, these ingredients can then be traded with Ingrid for health potions or with Gobber to purchase upgrades for your weapons or better armour. You’ll need to do a little exploring to unlock three special artefacts to really soup-up your weapons, but by limiting the need to explore and the requirement to collect loot to a degree, it keeps Dragons: Dawn of New Riders entertaining without drowning it in needless extra ‘stuff’. It’s all top-down dungeon crawling, though. You’ll also get to explore the Viking-inspired realm of the films on the back of Patches, swooping through the clouds and across the sea to visit all manner of locales. It’s sad there aren’t any other things to do bar fly from one location to another (there’s no real-time landing, instead you’ll hold ‘X’ then land before entering said dungeon). 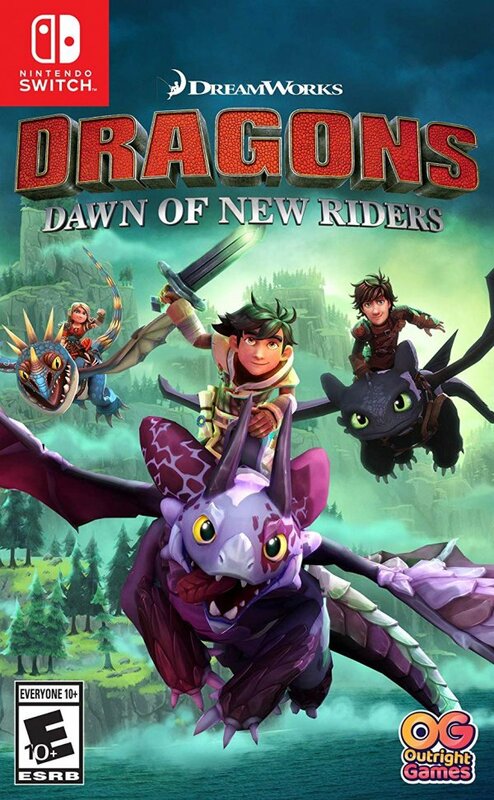 Some races, flying challenges or aerial enemies would have really helped bulk out Dragons: Dawn of New Riders shunted run-time, and seems a waste of a series all about riding dragons. There are some other problems, and while they’re far from game-breaking, they do start to grate after a while. The lack of a proper aiming system for Patches makes launching your elemental attacks more difficult than it should be, especially when you’re boxed in with a lot of enemies or you need to aim at a statue-shaped switch during a boss fight. The fact your AI-controlled partner can take damage while you’re not in control of them is also a poor design choice. Whether you’re currently controlling Scribbles or Patches, the AI simply isn’t clever enough to serve as anything other than a distraction and an attack sponge, forcing you to waste needless health potions to revive them while you’re doing all the hard work. That being said, Dragons does an admirable job of offering up a safe, friendly and enjoyable dungeon crawler without being too violent or needlessly scary. Fans of Skylanders who miss that mix of exploring, puzzle-solving and combat will definitely lap this up. The Switch port runs really well too, in both docked and handheld modes, so if you want to grab the portable version, you won’t be missing out on the full experience. Despite being a licensed tie-in, Dragons: Dawn of New Riders is anything but a broken, half-baked money-grab. 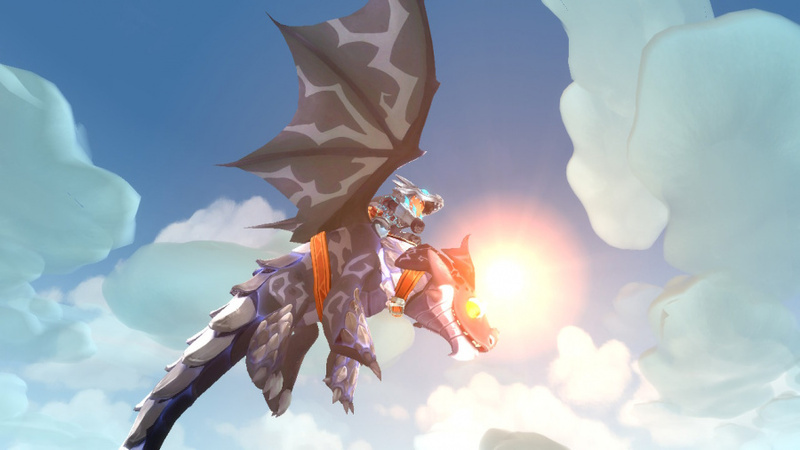 It’s not particularly remarkable in its features – and it really misses a trick by not adding more things to do while riding your dragon between dungeons – but for recovering Skylanders fans and those a little too young to go loot crazy in Diablo, this is still a family-friendly adventure that’s well worth your time on Nintendo Switch. Always fun reading these and trying to find the hidden message behind the missing words etc. Real shame about the lack of gamification of the flying. This franchise is for ripe for that, but the first two games' reviews didn't entice me enough, and this one barely even includes it by the sound of it. As said, if they had just focused on the flying portion and make it into a full game, it would have been infinitely better. Glu Mobile used to make such a flying game - Glyder 1 & 2, unfortunately, they stopped supporting it and focused on more lucrative free-to-play stuffs. Still, this is one of the better game with movie-tie-in. I'll get this if and when a good sale on it happens. Well that reads like a 3. Which would still be better than the last game, which I played and would give a 2. The fact that they release this game the same time as the movie but it isn't a movie tie in and you don't even play as any of the stars is borderline criminal, a bait and switch. And the price for the content, the Cartoon Network website has better games that would last you longer if you played them all, for free. These are the kinds of reviews that people look at and say this site is too generous with its scoring. So this is a Diablo 3 for kids? Looks good if Physical as I seen it lately and price is good with my GCU I'll probably get it. Might grab it for my kids once it hits around $20. They would enjoy it but based on the length/content of the game, $40 seems a little too much. Luckily these types of 3rd party games get discounted at a pretty good rate & usually pretty quickly. What are you guys all looking for in this? More than likely, majority wouldn't play it regardless. 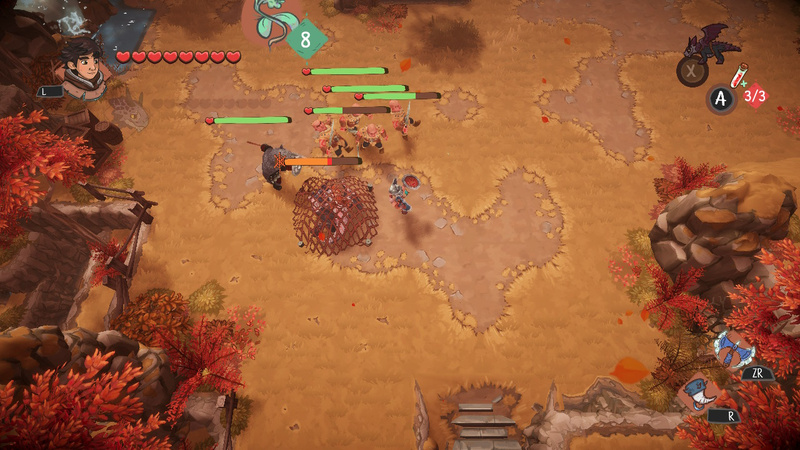 It seems interesting, a lighthearted take on the isometric action RPG games. I saw some gameplay on it and it doesn't look half bad. Yeah, you're not going to have Diablo III or X-Men Legends level of customization and character building, but it's a nice game. Why does everything need to be either a 9 or a 2 with readers here? From the gameplay I've seen, it definitely looks like a 7/10 type game. I love isometric games and this will be a buy. 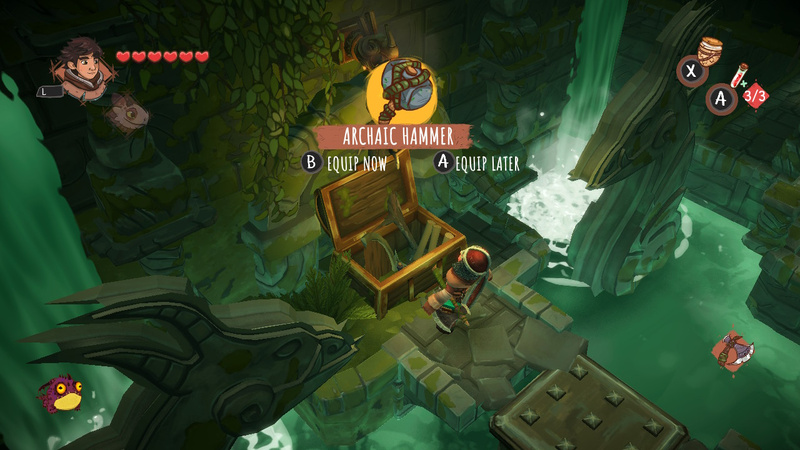 The puzzle mechanics remind me of Oceanhorn, which I adored. The graphics look good, but the camera could have been less top down and more angled. It looks like a mediocre game for adults, but a solid game for kids. And I commend them for not making a silly cash grab game. It looks like there was some thought behind this one and it caught my eye from the first few screens Nintendo posted on the eShop a while back, but was hesitant when there was very minimal information online for it. This day and age, if no one's talking about it or they aren't giving away too much information before release, it turns out like Fallout 76. Remember, this is a kids game after all and even with a license, they didn't sell out, they actually made something worth playing. With DreamWorks Dragons: Dawn of New Riders, I'm very pleased with how it turned out and I'm looking forward to getting it on physical. I'll grab a copy when the physical release drops to $20.